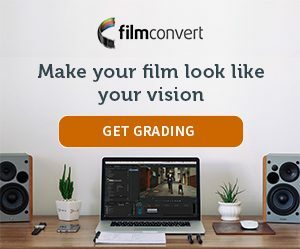 FilmConvert contains 19 film stock emulations for some of the most popular and useful film stocks produced by Kodak, Fujifilm, Ilford and Polaroid. We thought it would be fun to take a look at some famous films shot on those film stocks, and see how the FilmConvert film stocks compare. The film ‘Jackie’ (2016) is a biographical drama following the life of Jacqueline Kennedy during her days in the White House before and after the assassination of President Kennedy. The director and DOP chose to shoot the film on KODAK Super 16mm film to help integrate live-action footage with archival and contemporary footage from the early 1960s. A walk back in time through the Edo period. A time when life was slower-paced. A time where each encounter is treasured as there is understanding that the moments together can never be repeated- it is for that point in time only… and never again. Ichi-go ichi-e. Graded with FilmConvert. The music video for “Entwined” is a collaboration with Austrian filmmaker Max Rino, and it features a stunning Tim Burton-like world. “We didn`t want to create an everyday music video with continuous lip-sync and long performance parts,” said Clemens Engert of Alien Hand Syndrome, “we were aiming for something much more cinematic. So we had this idea of going into the Vienna Woods and playing with all those fascinating little elements we found there and incorporate them into the clip. It’s all about the combination of the musical and visual atmosphere and building a unified whole.” Graded with FilmConvert. The 2007 remake of the classic Western was shot on Fujifilm Eterna film stocks, in widescreen format by cinematographer Phedon Papamichael, who has also shot ‘The Descendants’, ‘Walk the Line’ and ‘The Monuments Men’ on film. The film reveals some of the sublime landscapes on Iceland’s Snæfellsnes Peninsula. Edited, color graded and sound-mixed using DaVinci Resolve Studio 14, graded with FilmConvert. Film emulation can be a potent tool for filmmakers to create beautiful, timeless images that evoke the magic of cinema.